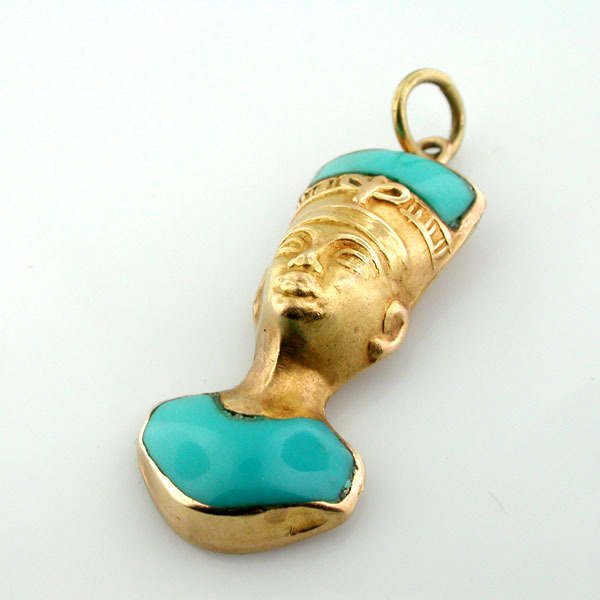 This is a vintage NEFERTITI 18K gold charm/pendant. 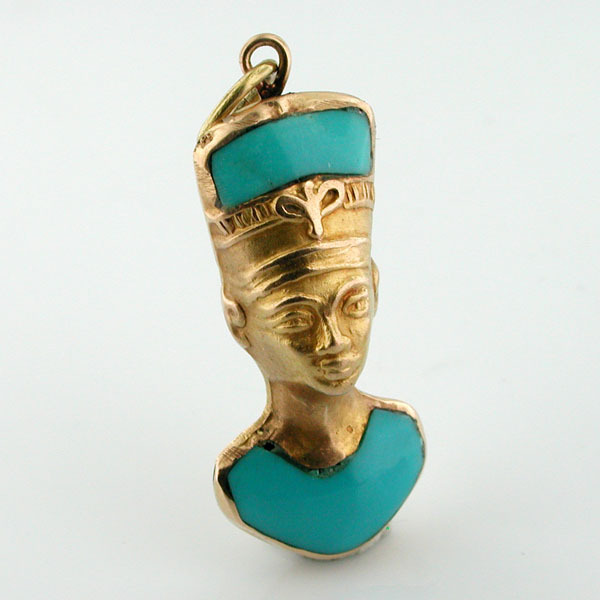 Enhanced by a natural turquoise. 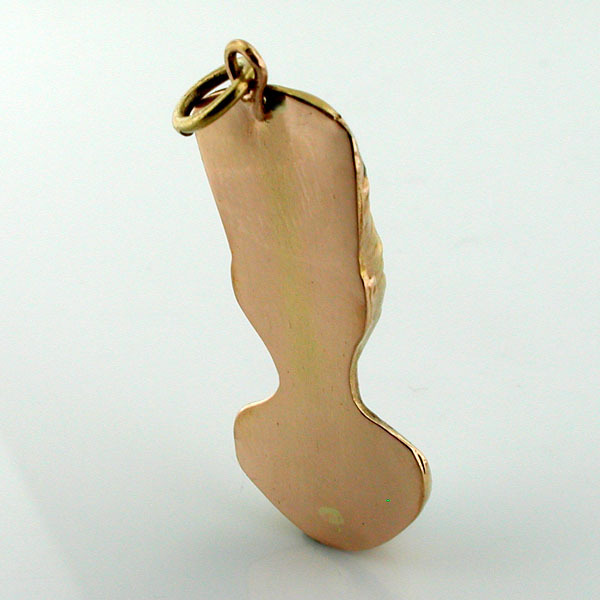 Very detailed, tested and guaranteed to be 18k gold. 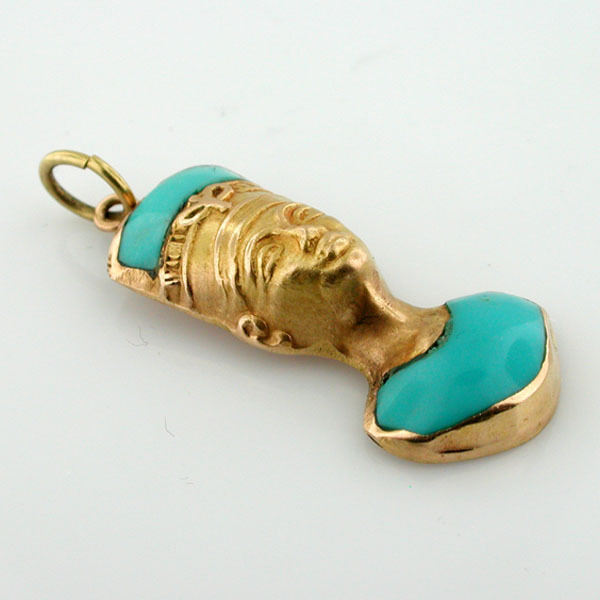 Measures 1-3/8" (35.4mm) in length without bail, and weighs 6.6 grams. 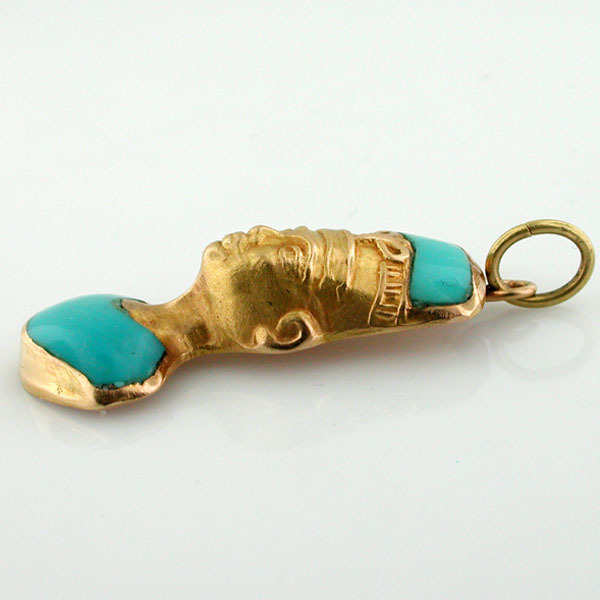 The charm is in good vintage condition.